Family Hike Night POSTPONED to Wednesday, October 3 from 4:00-7:30 on the W&OD Canal. Meet at behind Loudoun Valley High School under the WVU canopy. Thursday, November 8 at 2:45-3:15. One mile fun run around the track or (raining) around the halls of the school. Open to all RHE students and family. Spring Running Bears Club Click on the Running Bears tab for more information. Heart Healthy Run Thursday, February 14 at 2:45-3:30. Run as many laps as you can. Open to all RHE students and family. In honor of National Sportsmanship Day the ten Loudoun County elementary schools in the western cluster are getting together on Saturday, March 9 from 9:00-12:30 at Lovettsville Elementary school for an European handball tournament. To promote good sportsmanship among our young athletes. Click on the link to the left for more information. A.C.E.S. A.C.E.S. (All Children Exercise Simultaniously) is a nation wide campaign to celebrate children exercising. Wednesday, May 1 from 8:15-8:30 a.m. our students will get up and exercise. Click on the link to the left for more information. Family Disc Golf Night On Wednesday May 15th from 4:00-8:00. Come out to the Franklin Park Disc Golf course and play a round of disc golf with your family, First 30 Round Hill students to come out and golf with us get a free Innova Roc disc golf disc courtesy of the Round Hill PTA. Running Bears Memorial Day 5K Race Come out on Saturday, May 25 to run in the Round Hill Festival Memorial Day 5K race. On Wednesday, September 26 from 4:00-7:30ish (dark) all Round Hill Elementary students and their families are encouraged to come on down to the beginning of the W & OD Canal, which is behind Loudoun Valley High School in the athletic field parking lot, and hike 1, 2, or 3 miles as a family. Mr. Turrill will have his WVU gold & blue canopy at the start of the trail along with miniature water bottles. We will have crossing guards to stop traffic at the two places the trail crosses the road. Come on out and hike with your family. Grades K-2 run 1/2 mile, Grades 3-5 run 1 mile. Open to all RHE students, parents, and siblings. Who? : All students and their families. When? : Your family can book a registration time slot of 45 minute intervals.Your family can bowl from 5:00-5:45, 5:45-6:30, 6:30-7:15, or 7:15-8:00. Why? : We understand how difficult it is to find an inexpensive outing for the entire family. We at the Round Hill Elementary Bowling Complex want to invite your family down for a fun filled family centered evening. Families who play together stay together. Children of obese parents are more likely to become obese adults. Life's to short, have fun. You don't stop playing because you grow old, you grow old because you stop playing. K-2 Run 1/2 mile. Grades 3-5 run 1 mile. Through the halls of Round Hill Elementary School. If you are a RHE 5th grader & you would like to be on the RHE team click here. During every game the players will be encouraged and praised for their sportsmanship behaviors. After every game the players will congratulate the opposing school for their participation and successes. At the end of the tournament all young athletes will receive ribbons for their excellent participation in today's event and we will congratulate all of the observers for their sportsmanship. The physical education specialists who are putting together this event are excited about the possibilities this may possess. Please stop by Lovettsville Elementary School on Saturday, March 9 from 9:00 A.M. - 12:30 P.M.
business. Starting its 18th year, Project ACES has reached millions of children, parents and teachers all over the world, including participants from over 50 countries. WHEN IS THIS YEAR'S WORLDWIDE EVENT? This annual global event will occur Wednesday, May 1. At Round Hill Elementary we are celebrating it at 8:15 AM, after morning announcements. It will be celebrated during May which is National Physical Fitness & Sports month. WHY DO WE HAVE PROJECT ACES? Project ACES aims to educate children about the importance of lifelong fitness, and to end the negative stereotype that children are physically unfit. Exercise can lower the chances of coronary heart disease, which includes high blood pressure, high cholesterol, obesity, and physical inactivity. Project ACES makes fitness fun! Stop by & join the fun!!! Wednesday, May 1 at 8:15 AM. 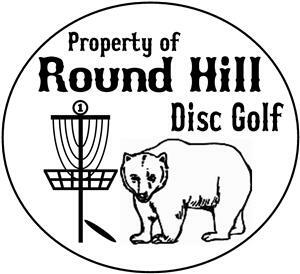 Come out with your family on Wednesday, May 15th from 4:00-8:00 for the Round Hill Family Disc Golf Night to be held at Franklin Parks Disc Golf Course. First 30 Round Hill students who come out and golf with us get a free Innova Roc disc golf disc courtesy of the Round Hill PTA. 2013 "The Greatest Field Day on Earth"
2015 "An Island Adventure - with Blue Planet Odyssey"
We always need volunteers for this special day. We will have 20-25 stations and the classrooms to travel through. please drop Mr. Turrill an email at eric.turrill@lcps.org or give him a call at the school. If you are interested in what your child will be doing here is the link to the 2018 Field Day Information Packet. If you are interested in mearly watching your child participate in Field Day.